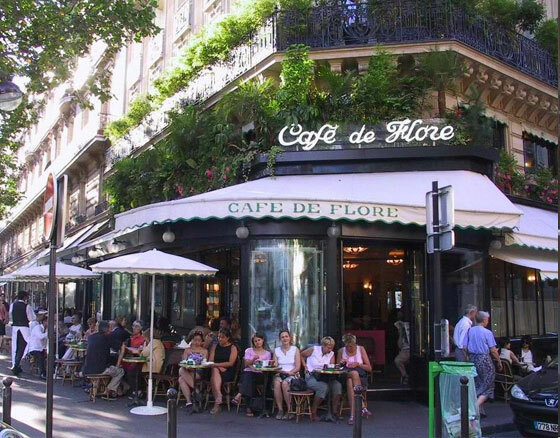 The scene of many crimes, Cafe de Flore is a literary and fashion institution in Paris and, considering everywhere has exhorbatant prices, we think you might just as well head here for one of the amazing desserts and coffees. During fashion week you can expect to see Anna Wintour and Grace Coddington popping in and out while other times celebs and models are regulars. If you are a fan of Gossip Girl (sorry boys) you will have seen it featured on that as well. That’s not to say it is purely a tourist trap, it is lovely to sit there alongside chic Parisians and have a tipple. Situated on the corner of Boulevard Saint-Germain and the Rue St Benoit in the 6th arrondissement, it is the perfect place to end up after a long walk down the Sienne. The tables outside are perfect for catching some rays but the inside is worth a look -Art Deco red seating, mahogany and mirrors is still in its pre- WW2 condition.